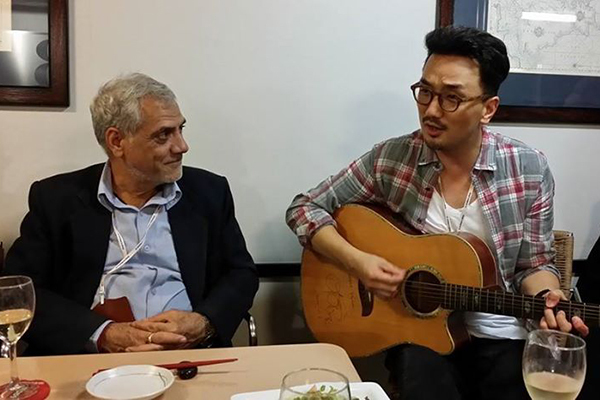 The 2014 Green Asia Forum took place October 31 – November 4, aboard the Peace & Green Boat in South Korea. As in previous years, several Goldman Prize winners were in attendance, including MC Mehta, Von Hernandez and Pisit Charnsnoh. Yul Choi, 1995 Goldman Prize winner and president of the Korea Green Foundation, the forum’s main sponsor, gave the welcome speech at the forum’s opening ceremony. The Green Asia Forum was launched in May 2012 to bring Asian activists together to act against the rapid degradation of the environment in the Asia-Pacific region. Eight Goldman Prize recipients, including Yul Choi, MC Mehta, Dai Qing, Prigi Arisandi, Noah Idechong, Rizwana Hasan, Tuenjai Deetes, and Sereivathana Tuy, participated in the event as keynote speakers and panelists. This year’s forum focused on “finding solidarity and joint countermeasures on the subject of environmental safety in relation to human dignity,” with sessions on mega-development, climate disasters and people’s lives in Asia, and the role of civil society in environmental safety in Asia. 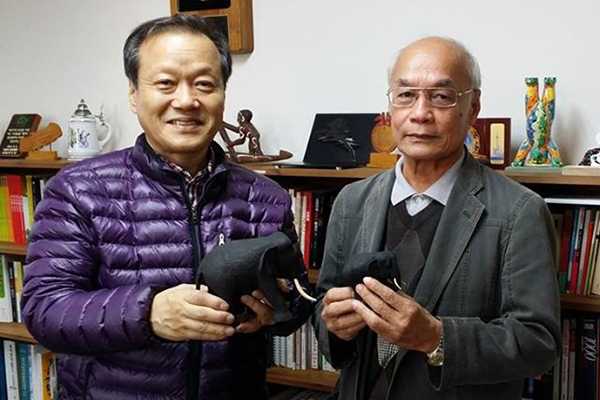 Photo: Prize winners Yul Choi and Pisit Charnsnoh exchanging gifts. Photo: Prize winner MC Mehta enjoys some music aboard the Peace & Green boat. 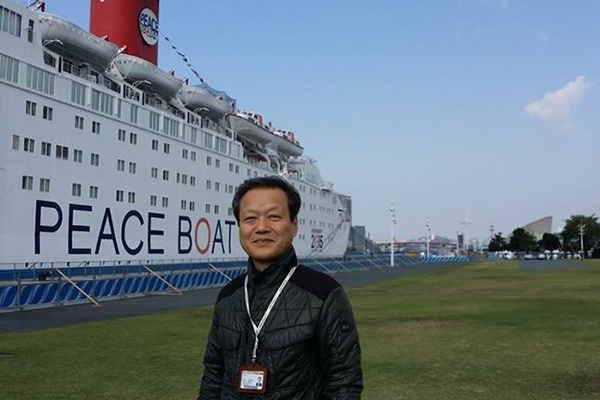 Photo: Prize winner Yul Choi poses in front of the Peace & Green Boat, home of the 2014 Green Asia Forum.